Major shrine Sanctuary of John Baptist de La Salle, Casa Generalizia, Rome, Italy. Saint Jean-Baptiste de La Salle (John Baptist de La Salle) (born 30 April 1651 in Reims; died 7 April 1719 in Saint-Yon, Rouen) was a French priest, educational reformer, and founder of an international educational movement. He dedicated more than forty years of his life to the education of the children of the poor. In the process, he standardized educational practices throughout France, and wrote meditations on the ministry of teaching (along with catechisms, politeness texts, and other resources for teachers and students). He was to influence many other religious congregations dedicated to education that were founded in the 18th and 19th centuries. Born at Reims, Jean-Baptiste de la Salle received the tonsure at age eleven and was named canon of Reims Cathedral at sixteen. Though he had to assume the administration of family affairs after his parents died, he completed his theological studies and was ordained to the priesthood at the age of 27 on April 9, 1678. Two years later he received a doctorate in theology. De La Salle became involved in education little by little, without ever consciously setting out to do so. 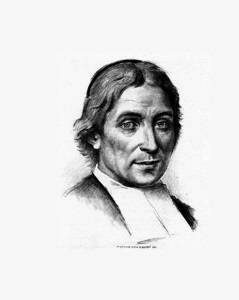 In 1679, what began as a charitable effort to help Adrian Nyel establish a school for the poor in De La Salle's home town gradually became his life's work. He thereby began a new order, the Institute of the Brothers of the Christian Schools, also known as the De La Salle Brothers (in the U.K. Ireland and Australasia) or, most commonly in the United States, the Christian Brothers. They are often confused with a different congregation of the same name founded by Blessed Edmund Ignatius Rice in Ireland who are known in the U.S. as the Irish Christian Brothers. I had imagined that the care which I assumed of the schools and the masters would amount only to a marginal involvement committing me to no more than providing for the subsistence of the masters and assuring that they acquitted themselves of their tasks with piety and devotedness . . . Indeed, if I had ever thought that the care I was taking of the schoolmasters out of pure charity would ever have made it my duty to live with them, I would have dropped the whole project. ... God, who guides all things with wisdom and serenity, whose way it is not to force the inclinations of persons, willed to commit me entirely to the development of the schools. He did this in an imperceptible way and over a long period of time so that one commitment led to another in a way that I did not foresee in the beginning. At that time most children had little hope for the future. Moved by the plight of the poor who seemed so "far from salvation" either in this world or the next, he determined to put his own talents and advanced education at the service of the children "often left to themselves and badly brought up." To be more effective, he abandoned his family home, moved in with the teachers, renounced his position as Canon and his wealth, and so formed a new community of lay religious teachers. His enterprise met opposition from the ecclesiastical authorities who resisted the creation of a new form of religious life, a community of consecrated laymen to conduct free schools "together and by association." The educational establishment resented his innovative methods and his insistence on gratuity for all, regardless of whether they could afford to pay. Nevertheless De La Salle and his Brothers succeeded in creating a network of quality schools throughout France that featured instruction in the vernacular, students grouped according to ability and achievement, integration of religious instruction with secular subjects, well-prepared teachers with a sense of vocation and mission, and the involvement of parents. De La Salle was a pioneer in programs for training lay teachers. In 1685, he founded what is generally considered the first normal school — that is, a school whose purpose is to train teachers — in Reims, France. He was a pedagogical thinker of note and is among the founders of a distinctively modern pedagogy. His educational innovations include Sunday courses for working young men, one of the first institutions in France for the care of delinquents, technical schools, and secondary schools for modern languages, arts, and sciences. Worn out by austerities and exhausting labors, he died at Saint Yon near Rouen early in 1719 on Good Friday, only weeks before his sixty-eighth birthday. De La Salle’s work quickly spread through France and, after his death, continued to spread across the globe. He was canonized by Pope Leo XIII on May 24, 1900. Because of his life and inspirational writings, he was proclaimed as the Patron Saint of Teachers on May 15, 1950, by Pope Pius XII. His feast is celebrated in the Catholic Church calendar on April 7, and at Lasallian institutions on May 15. Currently, about 6,000 Brothers and 75,000 lay and religious colleagues worldwide serve as teachers, counselors and guides to 900,000 students in over 1,000 educational institutions in 84 countries. "St. John Baptist de la Salle".